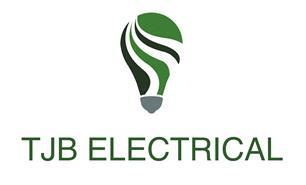 TJB Electrical - Electrician based in Martham, Norfolk. Hi and welcome to our TJB Electrical page at Checkatrade.com. I'm an electrcian based in Martham, Great Yarmouth offering a wide variety of electrical services to the areas of Great Yarmouth and Norwich. This ranges from anything from replacing a light fitting to a full rewire. To give you reassurance that we are the right people for the job we are fully qualified, fully insured and registered with the NICEIC under the Part-P scheme. This essentially means our work is checked and monitored by a governing body which also allows us to test, certify and submit work to Local Building Control so you know TJB Electrical is a trade you can trust! - LED Lighting/Energy saving ideas. - Kitchen refurbs including cooker points, under cabinet lighting and extractor fans. This gives you an idea of the services we have to offer at TJB Electrical but if you have any questions or queries please contact us today for a free no-obligation quote. Thanks again for your time and hope to hear from you soon.